One of the challenges in the daily life of a working mom is preparing something quick, yet healthy and delicious to put on the table for my family. This time I want to share with you one of my favorite recipes, ‘Chicken Pesto’. 1. 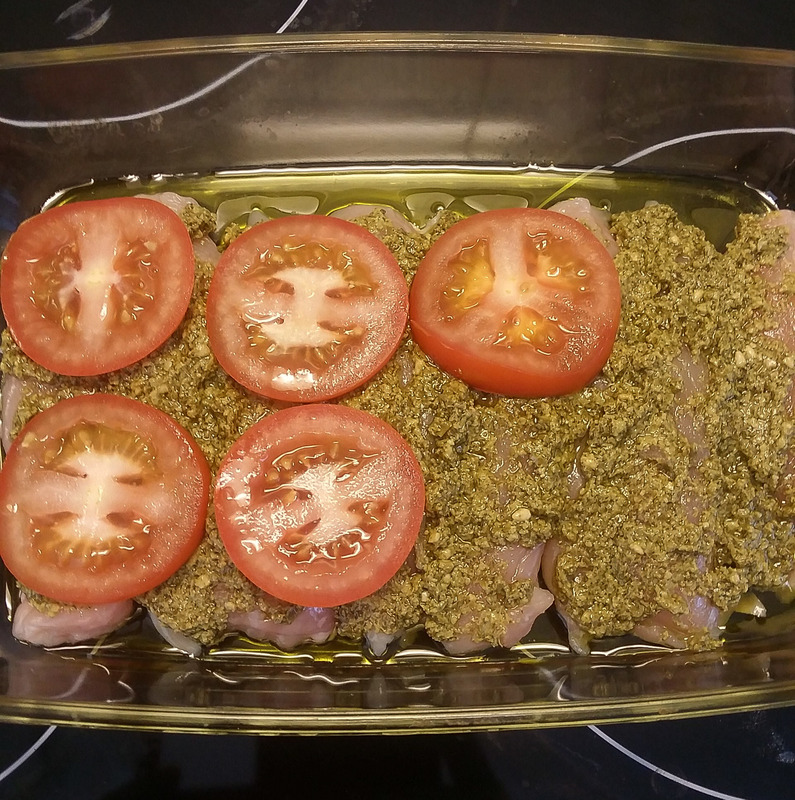 Preheat oven to 400 degrees F. Flatten chicken breasts (about 1-inch thickness) and place in casserole dish with just a little bit of olive oil. (sprayed with non-stick cooking spray if you are on a diet). 2. 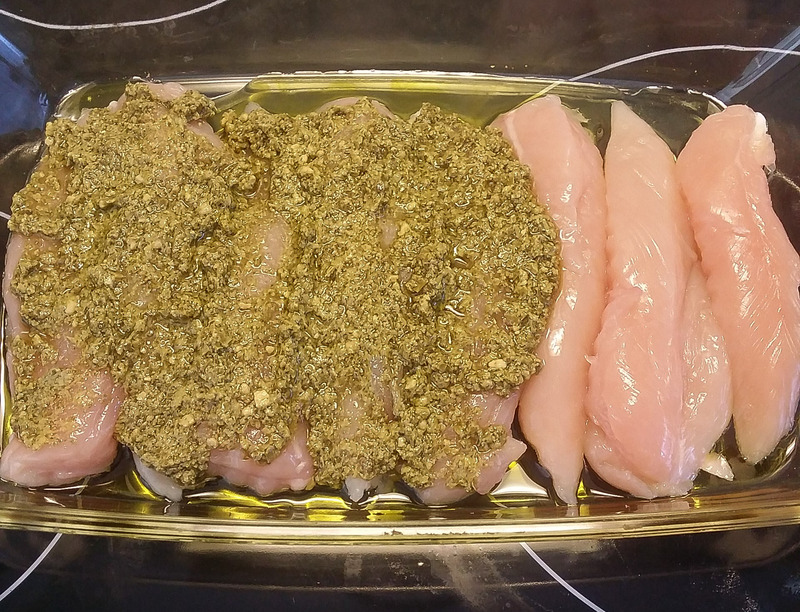 Spread 1 tsp basil pesto sauce on each chicken breast. Bake (uncovered) for about 15 minutes. 3. 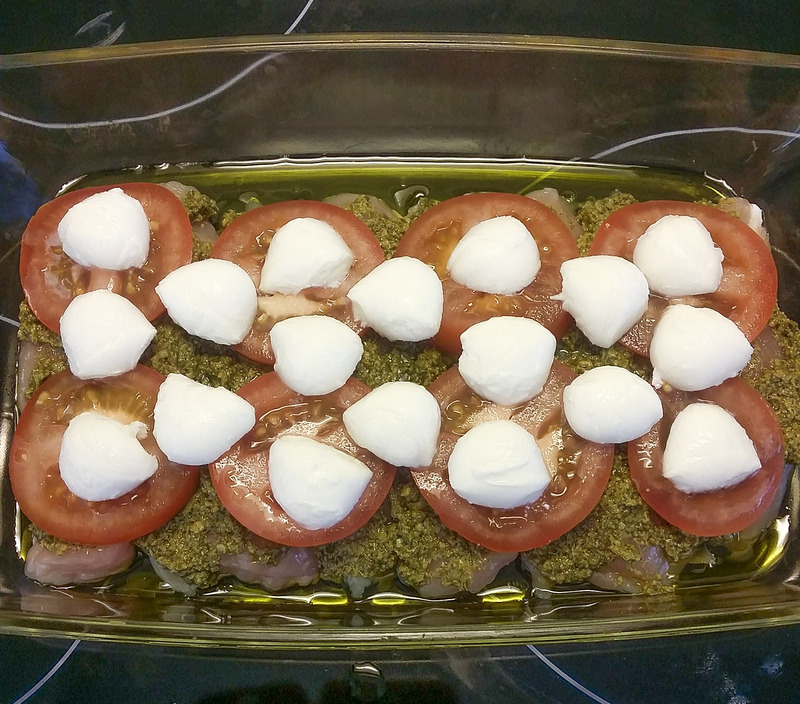 Remove chicken from oven, add thinly sliced tomato and 1 Tbsp mozzarella cheese to each chicken breast. Place back in oven for about 5-7 minutes (until cheese is melted). Serve with a side of brown rice, whole wheat pasta and vegetables or simply just as it is when you are on a diet.